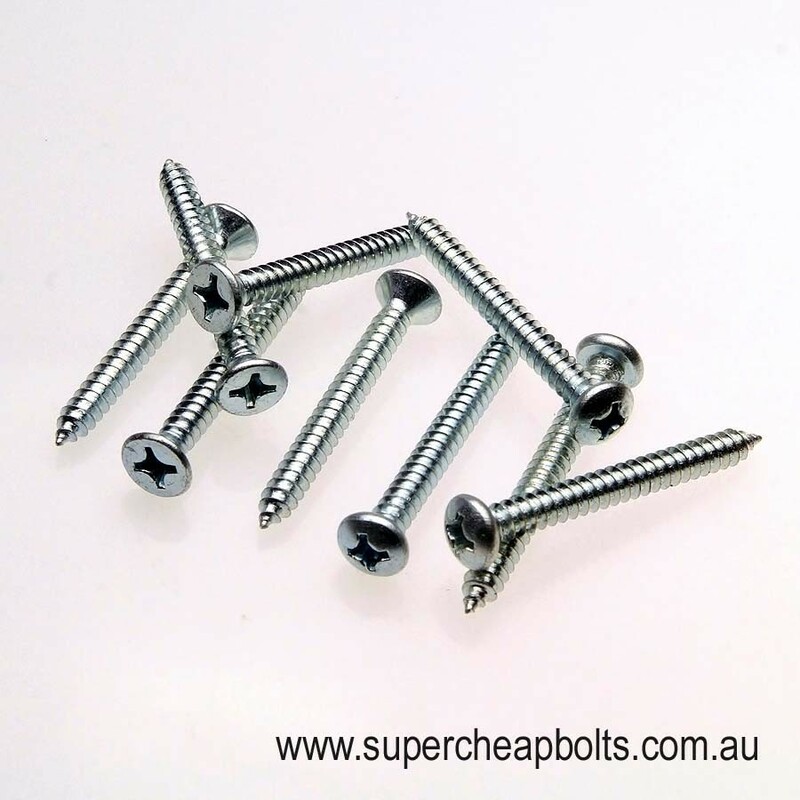 Self Tapping Screws available in both Pan and Countersunk heads drill and tap their own holes when they’re screwed into materials such as wood, plastic and metal. By using a Phillips driver to attach a self-tapping screw, you can create precisely fitted threads. Self tapping screws are ideal for combining two different types of materials or for screwing in areas where access is only one-sided. Self-tapping screws are used for products that need to be maintained regularly, such as air-conditioning units or canopies, where you need to dissemble and reassemble the item along the same threads. Supacheap Bolts currently stock both Zinc Plated and Black Zinc Plated in 4G, 6G, 8G, 10G and 12G in lengths to 1.1/2" in certain gauge sizes. ** Driver bit supplied with bulk, trade and small trade packs.